First published in 1991, this book — through the examination of ancient Greek literary, philosophical and legal texts — analyses how the Athenian torture of slaves emerged from and reinforced the concept of truth as something hidden in the human body. It discusses the tradition of understanding truth as something that is generally concealed and the ideas of ‘secret space’ in both the female body and the Greek temple. 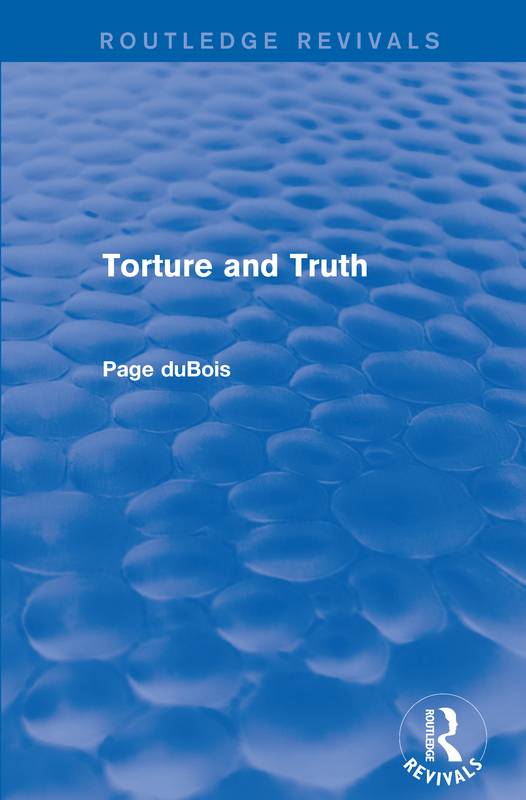 This philosophy and practice is related to Greek views of the ‘Other’ (women and outsiders) and considers the role of torture in distinguishing slave and free in ancient Athens. A wide range of perspectives — from Plato to Sartre — are employed to examine the subject.